This is Jerry Lee Lewisand the Memphis Beat with special guest Carl Perkins recorded live at the Wembley Arena, London, on Friday 17th April 1981. Flying Burrito Brothers - High Lonesome Sound 1969. This is The Flying Burrito Brothers performing live at the Seattle Pop Festival held at Woodenville, Washington on July 27th 1969 (tracks 1-15) and additional material from a gig in Wynona, Minnesota in May 1970 (tracks 16-21). 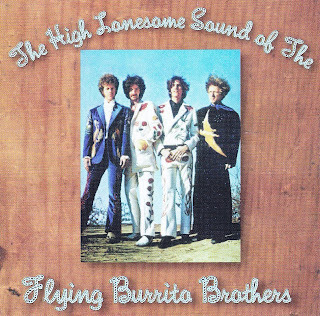 This bootleg was called "The High Lonesome Sound of The Flying Burrito Brothers" and was originally released on Gold Standard (Scorpio Records).